Beginner readers need beginner books that are interesting and engaging. We have created a series of learn to read books, that are designed to be matched to a child’s developing knowledge of phonics. 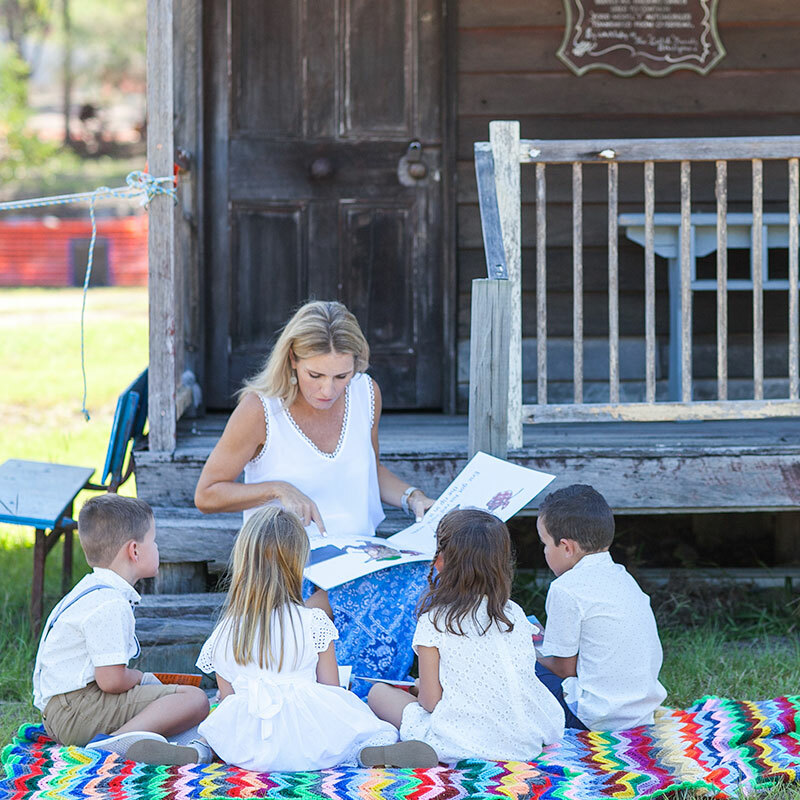 With 20 books in each level, children are extensively supported as they master each stage of reading. 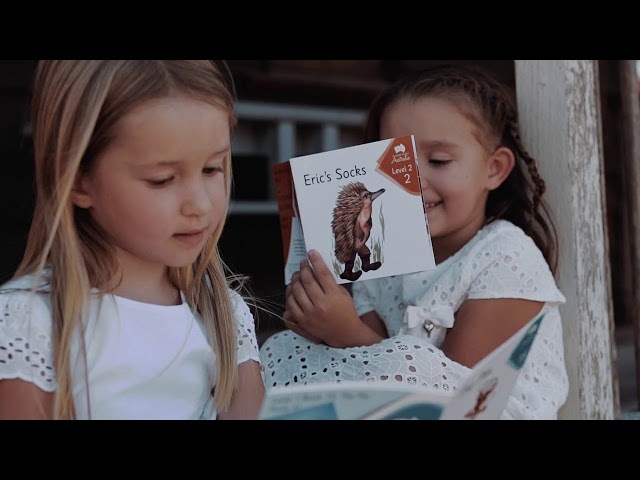 Our decodable readers have been carefully designed to incorporate the development of phonemic awareness, phonics, comprehension, vocabulary and fluency. 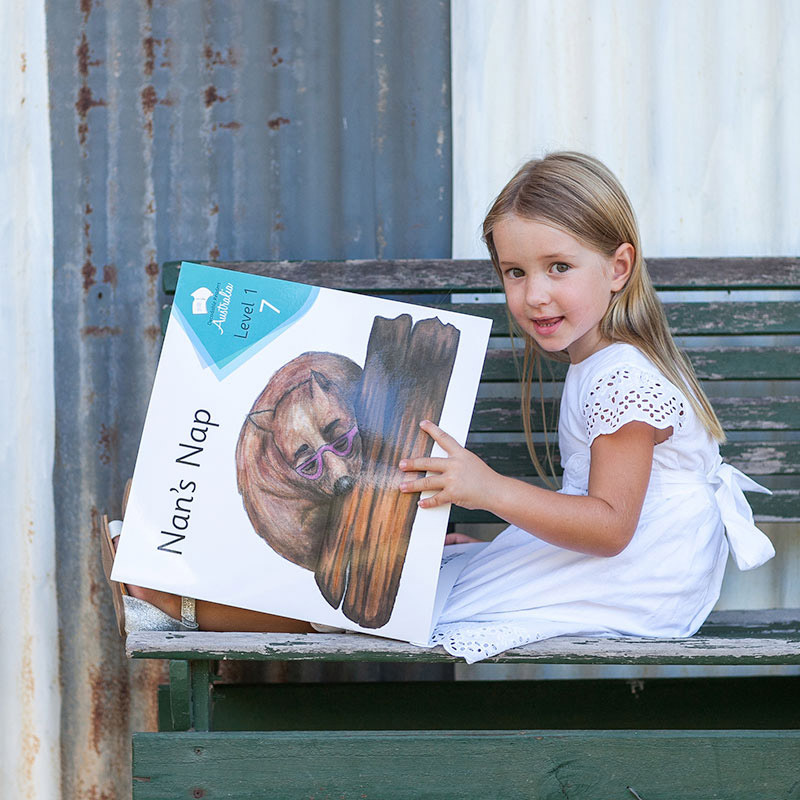 Children will love getting to know Nat and her Aussie pals as they travel and explore Australia. A significant body of research has highlighted the instructional routines that have the biggest impact on student learning, to literacy practices. Specifically, the research demonstrates that students achieve better results when they are taught phonics based approaches (Hattie 2009, 2012). Children will not learn to read if they cannot decode words. Decoding is knowing the letters, or groups of letters that represent the sounds that we can hear. The more sounds a child can recognise, the more words they are able to read. We can surround children with wonderful books that tell amazing stories and facts, but if these books are made up of words with sounds that children cannot recognise, they will fail to read independently. Being educators and parents ourselves, we understand the value of having helpful information at your fingertips. Our website and our apps have a wealth of information and activities to help you guide children through their ‘learning to read’ journey. For more information on how systematic phonics and decodable readers work, please feel free to get in touch with our educators. We’ll happily answer your questions. Your decodable readers are a fantastic resource to support our students in their reading journey, offering engaging and well sequenced progression of text. 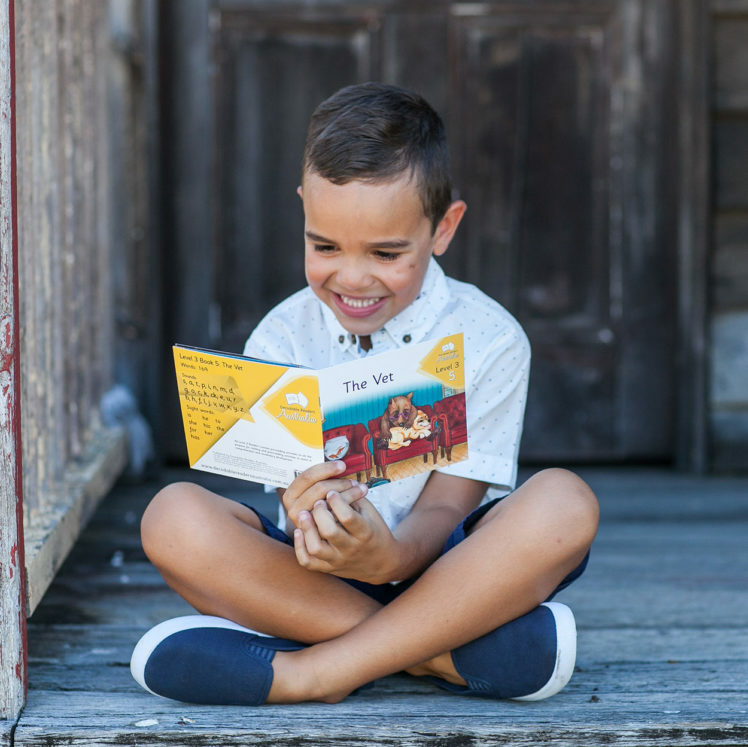 Our students and teachers alike love the Australian characters in your readers and the questions in the back of the books are an excellent resource to support parents when reading with their children. Thank you for your fabulous work! Our school has purchased all published levels of the Decodable Texts since their inception. Our teachers love the Australian themed readers, as they are aligned to the explicit teaching of letters in the order matching Jolly Phonics. An excellent resource, valued by not only our Early Years teachers but also by other teachers across the school, who teach students with learning difficulties. Well done! We look forward to the next levels (5 & 6) to be available. THERE’S NO SUCH THING AS A KID WHO HATES READING. THERE ARE KIDS WHO LOVE READING, AND KIDS WHO ARE READING THE WRONG BOOK. We are using your readers in our whole school reading program because they are the most appealing, well sequenced readers we can find. It’s great to have some Australian themed decodables. Keep up the good work, and we look forward to our continuing relationship. We stumbled across Australian Decodable Readers by accident and were totally thrilled when we did. Not only did they link directly to the phonics program we were implementing at the school, they had an Australian theme. We use both the big books and the student books in the classroom teaching program and the students then take the small books home to consolidate their learning. The decodable readers are crucial for allowing students to generalise phonemic awareness, phonics and sight word skills taught whilst engaging with texts.